Over 80 percent of chemical products and hydrocarbons have at least one step in their processing that uses catalysts. Catalytic materials are those that adsorb reactants to their surface, facilitating chemical reactions without being consumed during the process. The surface of these materials provides differing reaction pathways, or kinetics, that have lower energy barriers than those in gas or in solution, ultimately speeding up chemical transformations. Reaction kinetics on catalyst materials are a major focus of the Integrated Mesoscale Architectures for Sustainable Catalysis (IMASC) Energy Frontier Research Center. This has also been the research focus of Christian Reece, a current postdoctoral fellow in IMASC. The research in IMASC spans across a wide range of pressures, temperatures, and material complexities. Studies on single metal crystals in ultra-high vacuum and computer models of metals lie at one extreme of the spectrum. Here, measurements are typically performed on model surfaces and at low temperatures and pressures. The applicability of results from these fundamental model studies to understanding more complex surfaces at higher temperatures and pressures has often been contested. Reece is not only able to see how model studies are applicable; he and his colleagues have been able to directly demonstrate it with his research using a highly specialized tool, the Temporal Analysis Product (TAP) reactor! “You really want to have this fundamental knowledge from ultra-high vacuum experiments but on the real material, which often is not possible. What we’ve done with our work [TAP] is demonstrate that this fundamental knowledge is consistent with that measured on the applied systems,” he said. He admits he just so happened to find himself in this niche field of research that spans fundamental and applied studies by chance as his research career progressed. He was born and raised in Cardiff, Wales. For his undergraduate degree he attended the University of Bath. His master’s project was focused on computationally modelling conductivity of materials. When pursuing his doctoral degree with David Willock at Cardiff University, he applied similar computational tools to study the reaction mechanism of biomass upgrading over metal surfaces. Alongside his computational work, Reece also had the opportunity to work with Willock on repairing Cardiff’s malfunctioning TAP reactor. The TAP reactor allows real-world catalyst materials to be studied at working temperatures, while still affording detailed information on the inner workings of complex materials. Willock had previously been working on the TAP reactor for many years. Eventually, the two of them managed to get the TAP reactor working again. The two went on to publish a couple of papers that demonstrate the ability of the machine to detect small amounts of products and difficult-to-observe reaction intermediates. Reece and Willock’s developments in TAP caught the attention of the larger community, which culminated in them being invited to present at a TAP conference at the Idaho National Laboratory. The debut of their TAP work ultimately led to the opportunity for Reece to join IMASC, where he is studying methanol coupling on oxygen covered nanoporous gold. Nanoporous gold catalysts have several important features that make them a fascinating case study for understanding reaction pathways. Perhaps one of the most fascinating features arises from the fact that the catalyst is a bimetallic alloy, or mixture of two elements in a metallic state, consisting of a dilute amount of silver in gold. With the proper temperature and gas mixture, the silver more easily adsorbs oxygen onto the catalyst surface and creates new reaction pathways. IMASC’s Cynthia Friend and Robert Madix’s fundamental research on the oxygen-assisted coupling of alcohols on single crystal studies of gold demonstrated how the surface concentration of adsorbed oxygen controls the reaction network, several intertwined reaction steps. This reaction network and the rates of each step ultimately determine the distribution of products, or reaction selectivity. His initial studies in Cardiff, along with his knowledge of theory and programming, enabled him to master the challenging reaction network of methanol coupling over nanoporous gold at IMASC. He became the first to successfully demonstrate that the kinetics of oxidative methanol coupling over gold catalysts are the same in fundamental and applied studies. The complicated fluid dynamics and elevated pressures of typical reactors, which operate at or above atmospheric pressures, make it difficult to detect reaction intermediates, let alone their rates of formation. By contrast, the TAP reactor provides a well-defined system, which uses precise pressure pulses over working catalysts at their operating temperatures to provide great detail on real-world catalysts. So, how does the TAP reactor do that? Reece loads the catalyst powder into a narrow quartz tube, called a microreactor, sandwiched between two layers of inert packing material. This microreactor is then placed on top of a vacuum chamber and evacuated. Small quantities of reactant gas are pulsed at the entrance of the reactor, creating a sharp pressure pulse, perturbing the catalyst system that is under vacuum. Each pulse causes the pressure to spike up and eventually decay to zero. “It’s all in the shapes of these curves. The gas molecules diffuse through the microreactor, where they can interact with the catalyst and react to form products, which also diffuse towards the exit,” said Reece. 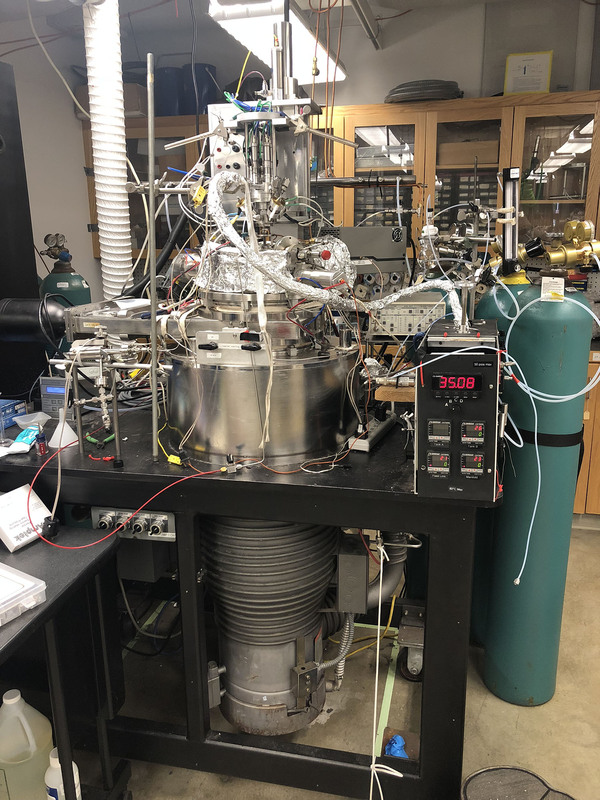 “By comparing the rate at which the reactants and products exit the reactor to one where there is no reaction, we can get a precise understanding of the reaction kinetics.” Here, he uses a mass spectrometer to detect the gas leaving the reactor. It seems that this research will continue to hold his attention in research. 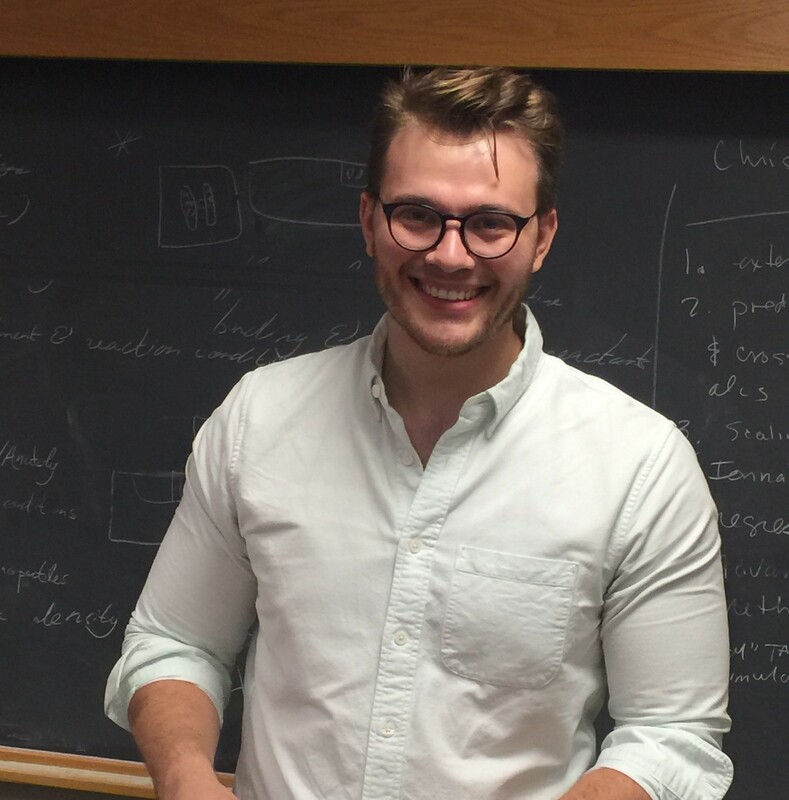 Recently, he accepted an offer to be a junior research fellow at the Rowland Institute at Harvard, where he will have the opportunity to start up his own research lab to further understand reaction mechanisms on catalyst materials by building his own systems with capabilities similar to the TAP. At IMASC, he hopes to continue to use transient kinetic techniques to connect surface science and applied catalysis, as he starts up his own transient kinetics lab, eventually taking this technique further and extrapolating to even more complex and applied systems. The research referenced above was funded by the Integrated Mesoscale Architectures for Sustainable Catalysis, an Energy Frontier Research Center funded by the U.S. Department of Energy, Office of Science, Basic Energy Sciences. E.A.R. was funded by the Norwegian Research Council. Amanda Filie is a Ph.D. student at Harvard University working under Cynthia Friend. She is a member of the Integrated Mesoscale Architectures for Sustainable Catalysis Energy Frontier Research Center. She studies the activity of catalysts and its reaction mechanisms under operating conditions.